Maybe you're not going to be a superstar athlete. But you can still set a big fitness goal for yourself, even if you've never tried a sport before. 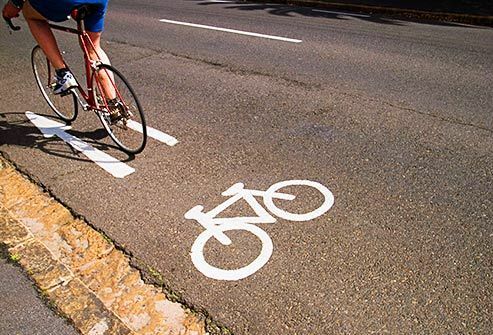 Examples of fitness goals could be a century ride (a 100-mile bike ride in less than a day). Or you could train for a triathlon (a series of three endurance events, often swimming, cycling, and running), or join a sports league. First, consider the possibilities. There are lots of activities you could try, and you might discover you like something you never thought you'd do. Want to train for something really tough and out of your comfort zone? Check out race events like Warrior Dash and Tough Mudder. They're rugged obstacle courses where you slog through mud and water, scale walls, and combat-crawl through tunnels. You might have a big goal you want to reach one day, like a marathon. The best way to get there is to set a series of smaller goals that lead to your big goal. For example, before you sign up for a marathon, set goals to do a few 5K races first. And before that, work up to running a mile. 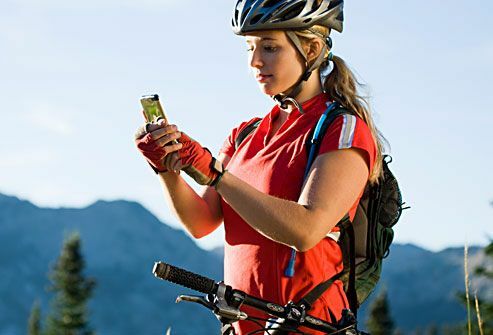 Fitness apps can help you keep track of each great thing you do on your way to your big goal. You may get bored doing the same workout every day. And after you do the same activity all the time for 6 to 8 weeks, your muscles adapt to it. You burn fewer calories and build less muscle. Try interval training: Step up your pace for a minute, then slow down, and repeat. 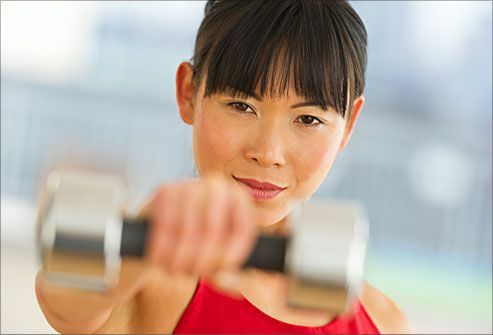 Try strength training and cardio activities like swimming, indoor cycling, and kickboxing. 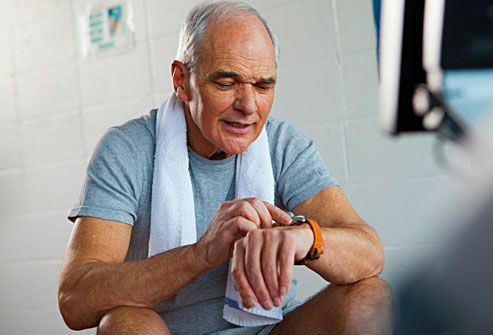 If you're not active now, talk to your doctor before you start exercising if you're over 45 (men) or 55 (women). It's also a good idea to get a doctor's OK if you have a health problem or take regular medication. To avoid injuries and burnout, start working out slowly: 3 days a week for 10-15 minutes. Then gradually add time and intensity. Exercise burns extra calories and raises your metabolism. So eat every couple of hours -- three meals plus healthy snacks. Before a workout, snack on carbs (juice, fruit, or yogurt) for fast energy. 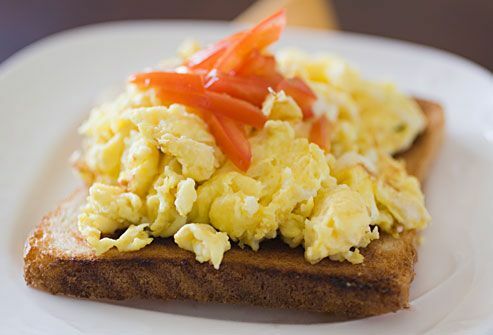 After a long, tough workout, replenish with a carb/protein mix, like a peanut butter sandwich or a smoothie. Otherwise, keep your meals and snacks light: Try an apple and peanut butter, yogurt and nuts, or an egg on whole wheat toast. Unless your workout is really long or tough, you don't need a special sports drink with electrolytes. Water works just fine. 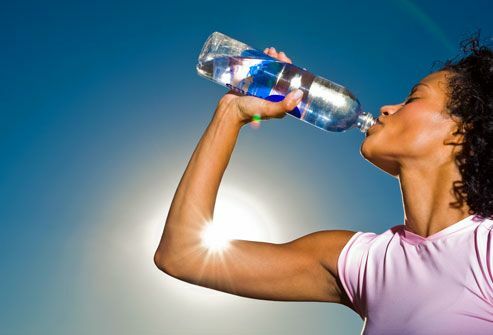 Drink plenty: If you're dehydrated, your muscles may cramp, and you raise your risk of heat exhaustion and heatstroke. Two hours before you exercise, drink about 2 to 3 cups of water. During your routine, drink about 1 cup every 10-20 minutes. Keep drinking after you're done exercising, too. Even if your goal -- a marathon, for example -- might center on cardio, you should practice strength or resistance training, too. Strong muscles burn more calories, help prevent injuries, and build stronger bones. Work muscles on weight machines, with hand-held equipment like free weights, kettlebells, or resistance bands, or by doing exercises like push-ups. Rest each muscle group, such as biceps and triceps, at least 2 days between strength workouts. You need the right clothes and shoes when you work out. It's not about looking good (although that can't hurt) -- it's about feeling comfortable. It's no fun to walk, run, or bike if you have flapping sleeves or flimsy shoes. Ask the experts at a sporting goods store for help. Look for fabrics that draw moisture away from your body -- not sweat-absorbing cotton. In cool temperatures, wear layers that you can peel off as you warm up. Whether you're running or weightlifting, it's easy to get hurt if your form or technique is wrong. Don't assume you're exercising the right way, especially if your routine is causing you pain. If your gym has trainers or fitness staff, they may be able to watch you exercise and give you advice on improving your technique. Or you can read fitness magazines or find online videos that show correct techniques. American College of Sports Medicine: "Off the Couch and Active: When to see a Physician Before Exercising." American Council on Exercise: "Strength Training 101," "Why is it important to vary my workout routines?" "What should I eat before and after my morning, afternoon or evening workout?" "Eat Well to Stay Motivated and Energized," "Healthy Hydration." 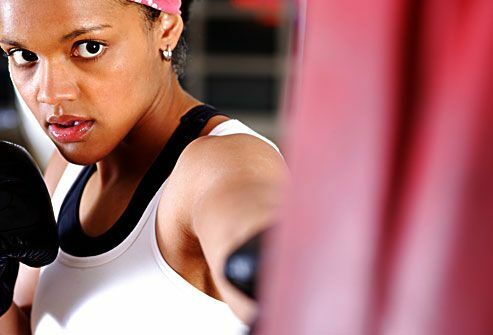 Harvard Health Publications: "Keeping your strength training routine fresh, from Harvard's Strength and Power Training Special Health Report," "10 Tips for Exercising Safely." Kansas State University: "Should You Eat Before or After Exercise?" Pete McCall, exercise physiologist, American Council on Exercise. Dori Ricci, fitness consultant, Target Training, New York. University of Arizona: "Strength Training with Elastic Bands."